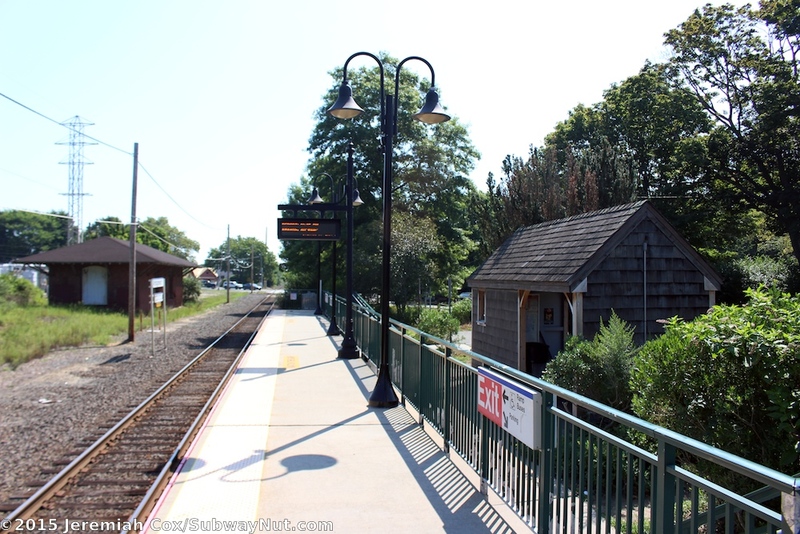 Amagansett is the second to last stop on the Montauk Brach that got the minimum of high-level platform improvements when all stations were upgraded in 1999. 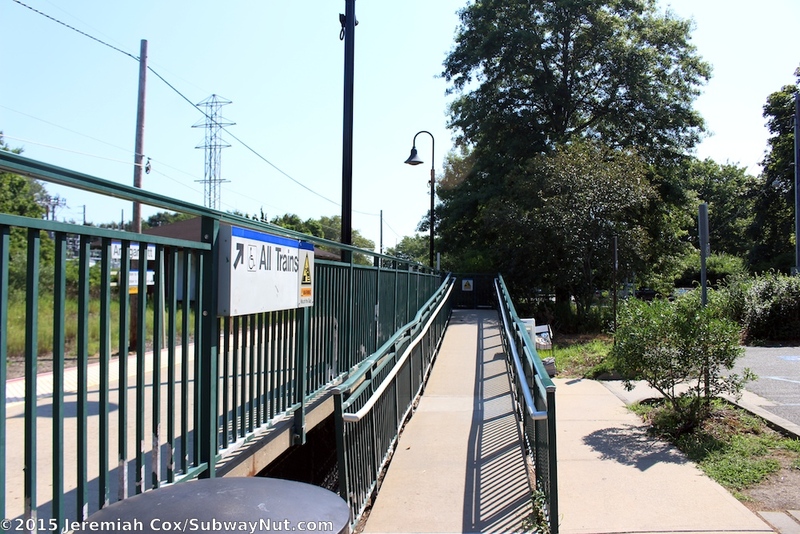 The high-level platform on the south side of the single track, with green railings originally could only accommodate 1 and a half cars (the portion with green railings). 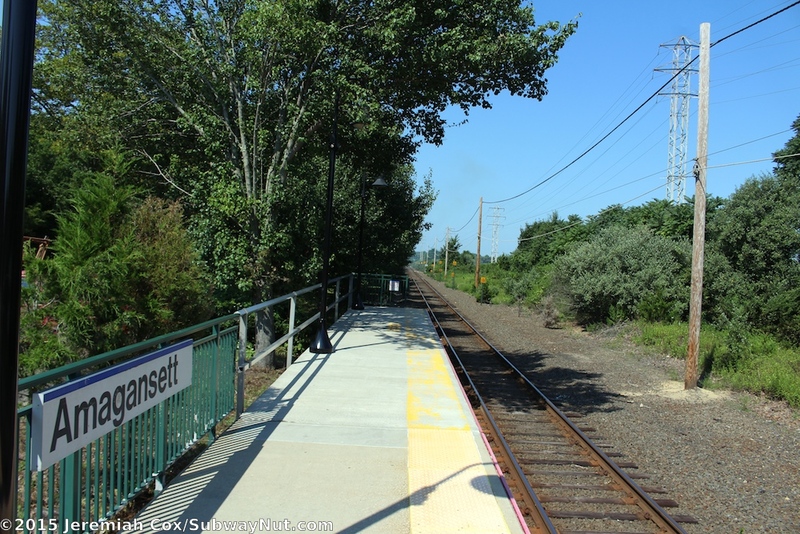 But a very short platform extension in the late 2000s, clearly visible at the western end of the platform where the railing becomes silver accommodates a second door of the second car, so now the station can fully accommodate 2 cars. 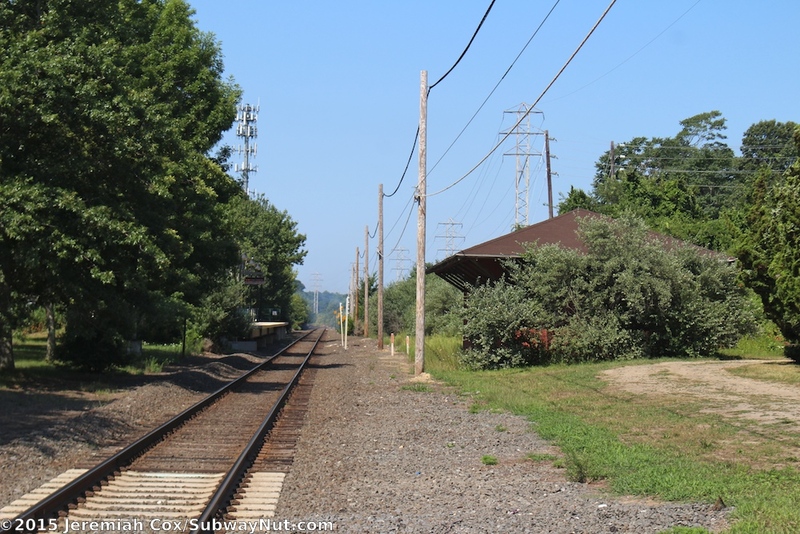 The platform extension has the original green fencing that was just moved to the new end of the platform. 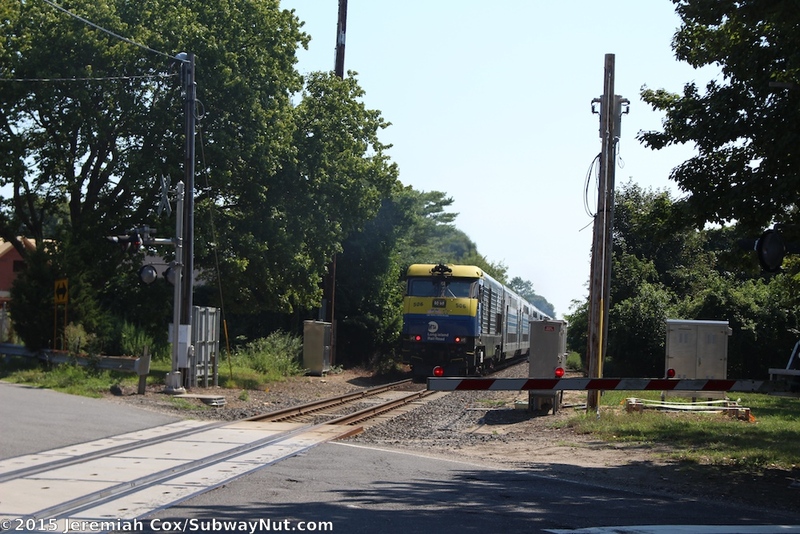 Normally the front 2 cars open eastbound and rear two cars westbound as is evident by the long lawn of train spotting markers to the west of the platform. 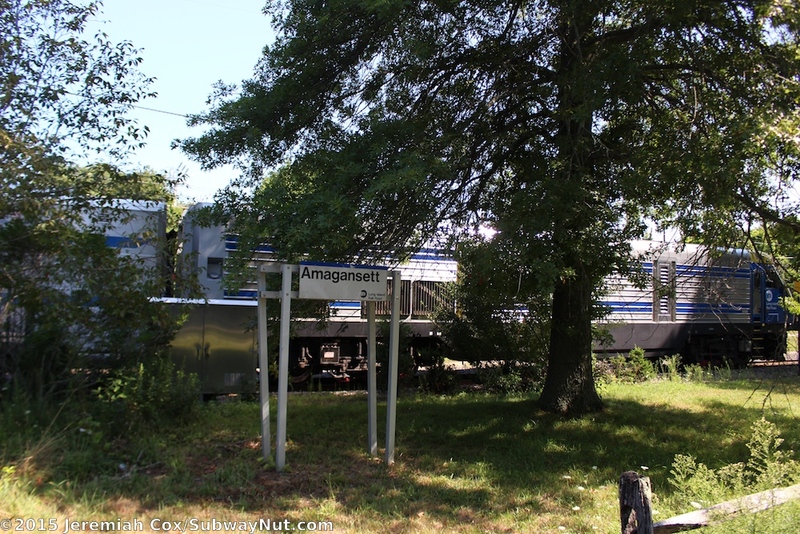 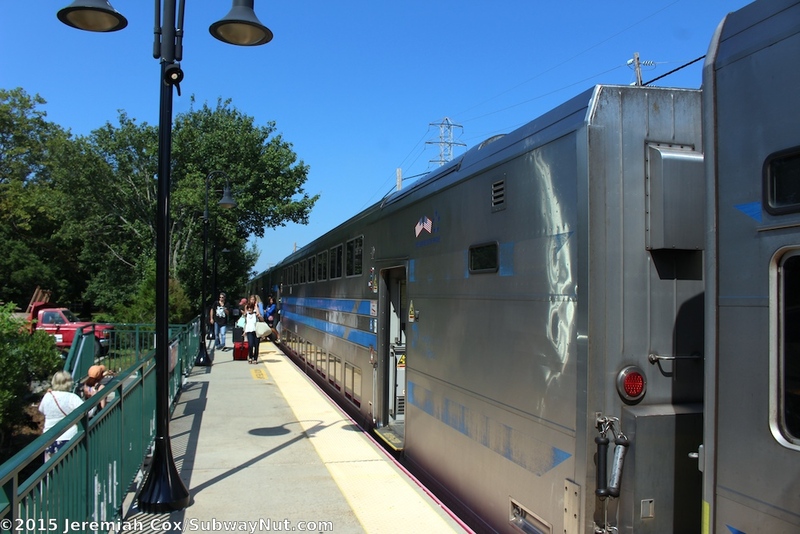 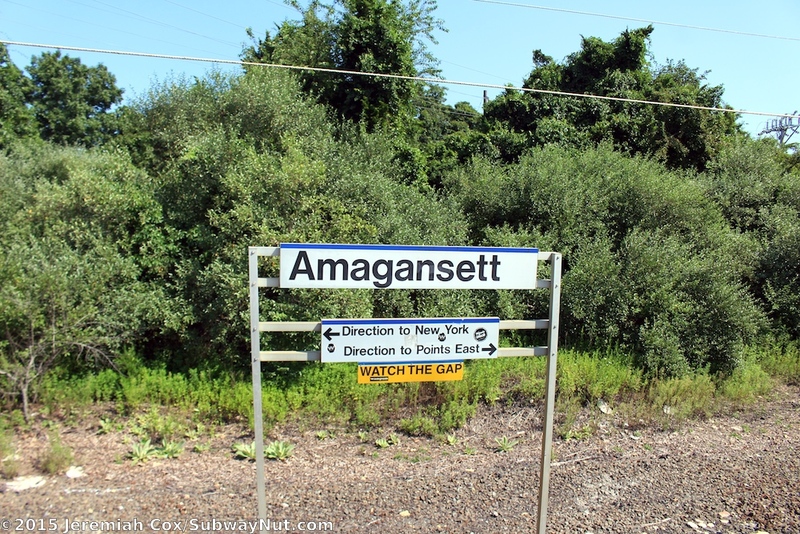 The short platform also means Amagansett is skipped by the Cannonball Express in both directions to avoid increasing dwell times and avoiding the confusion of the fact 3 of its cars are reserved for the Hamptons Reserve Service that would make boarding take even longer since one car would probably half to open. 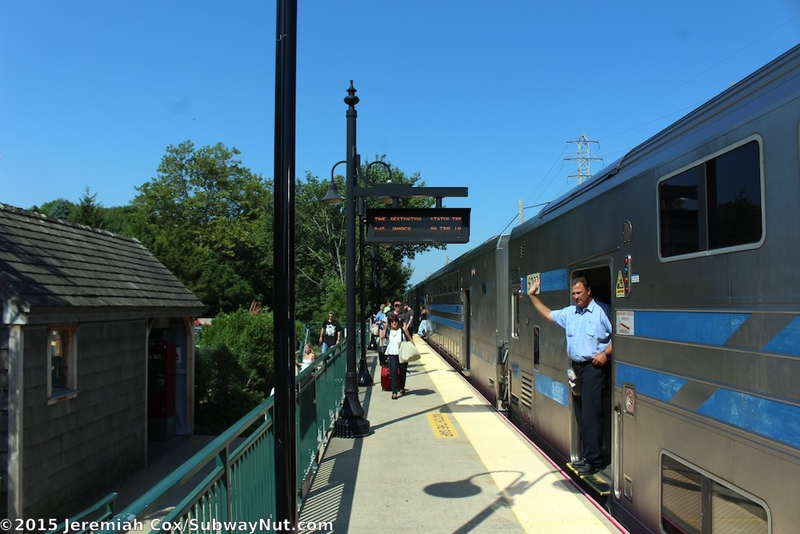 All other of the 5 to 6 daily and increased Friday and Sunday Seasonal trains stop at the station. 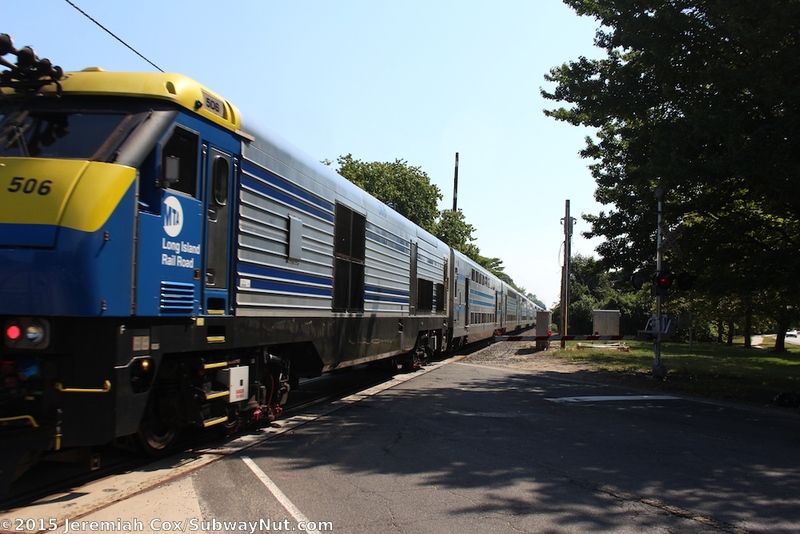 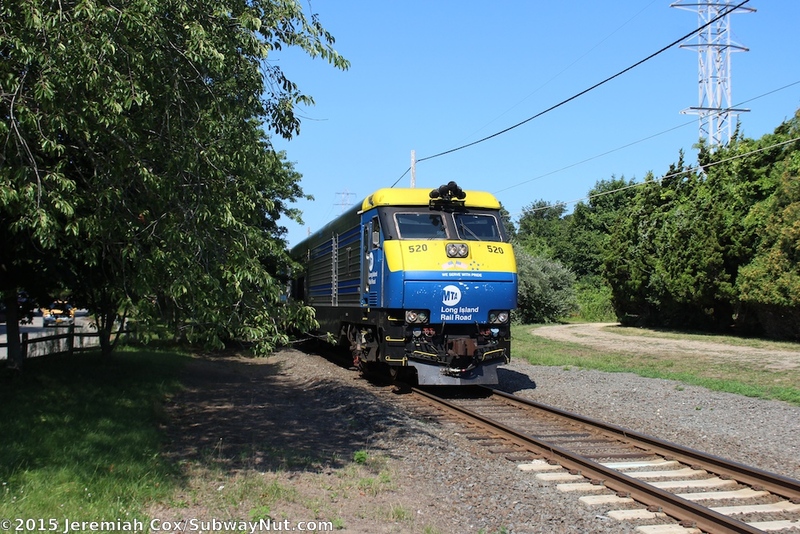 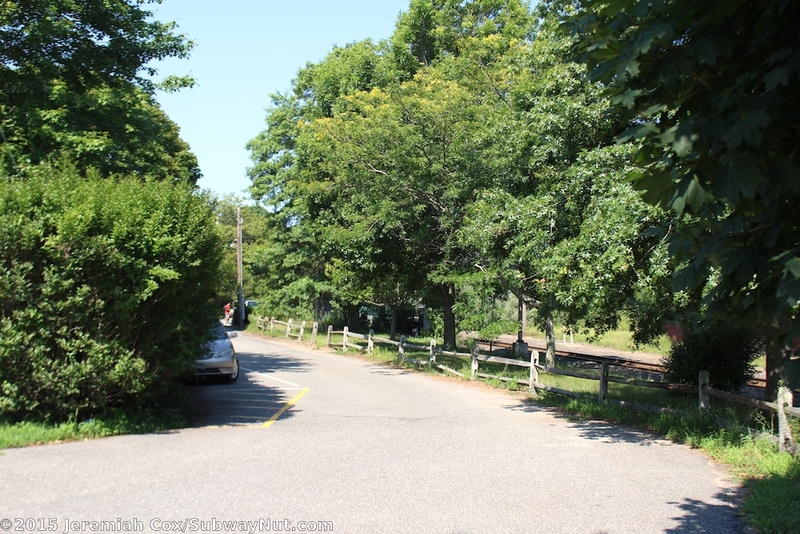 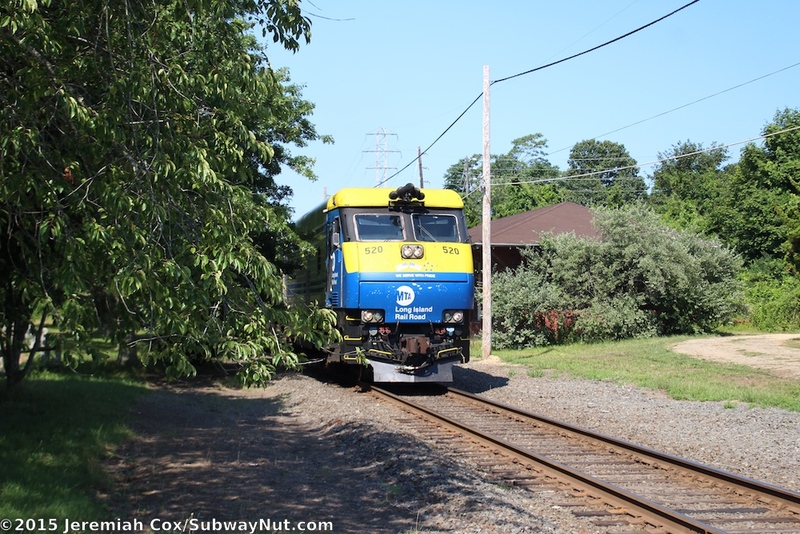 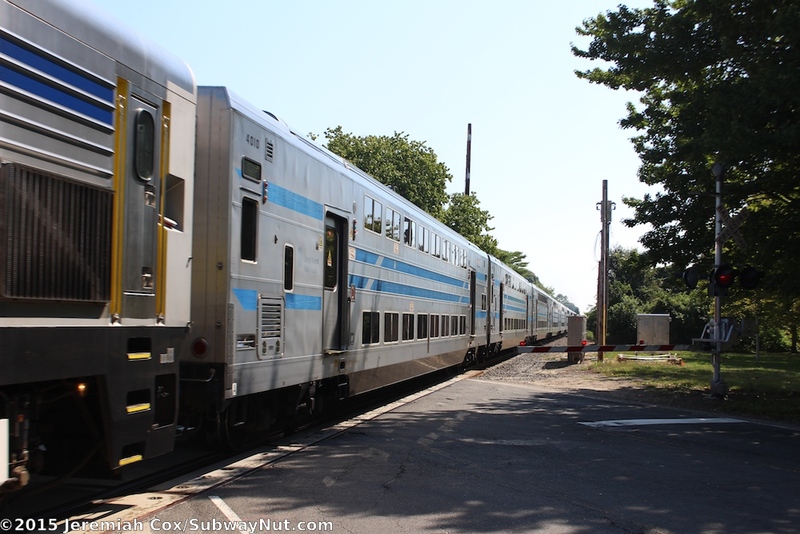 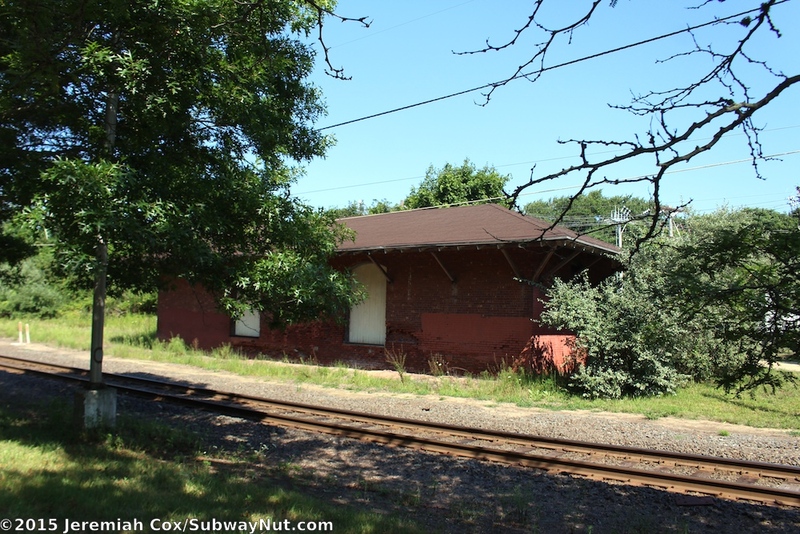 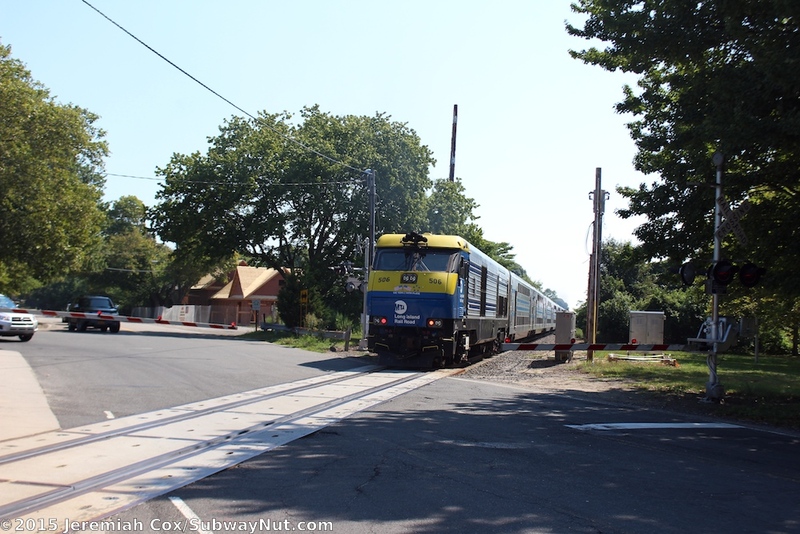 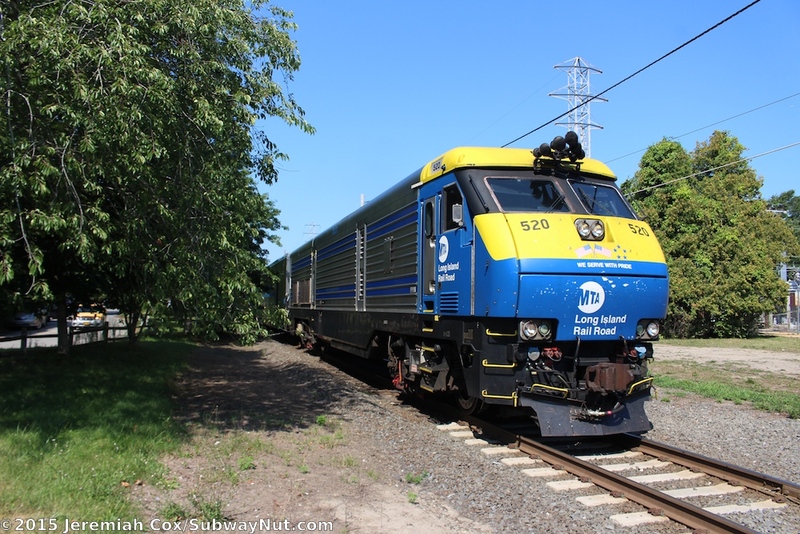 The platform and station is located just east of the grade-crossing with Abrahams Landing Road with a small about 25 car capacity parking lot between the platform and Montauk Highway. 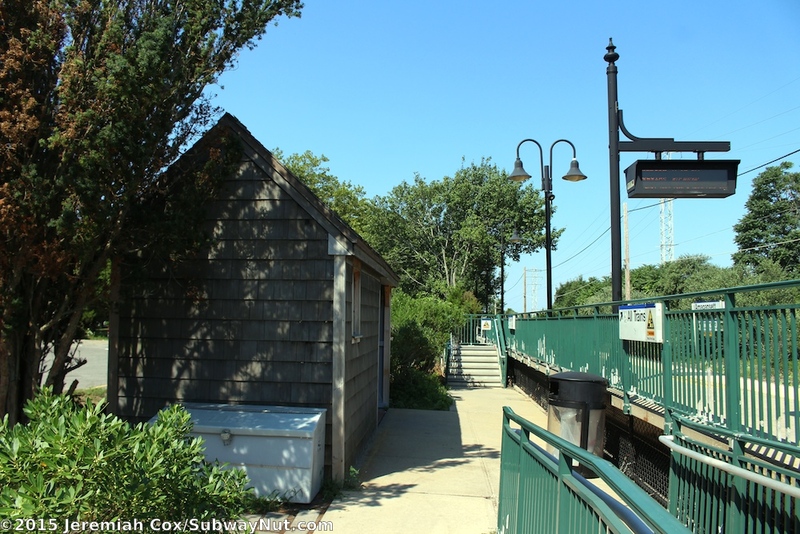 The platform is completely exposed to elements with a staircase and ramp leading down to a small entrance area with a tiny wooden shelter that is fully singled on both the walls and roof. 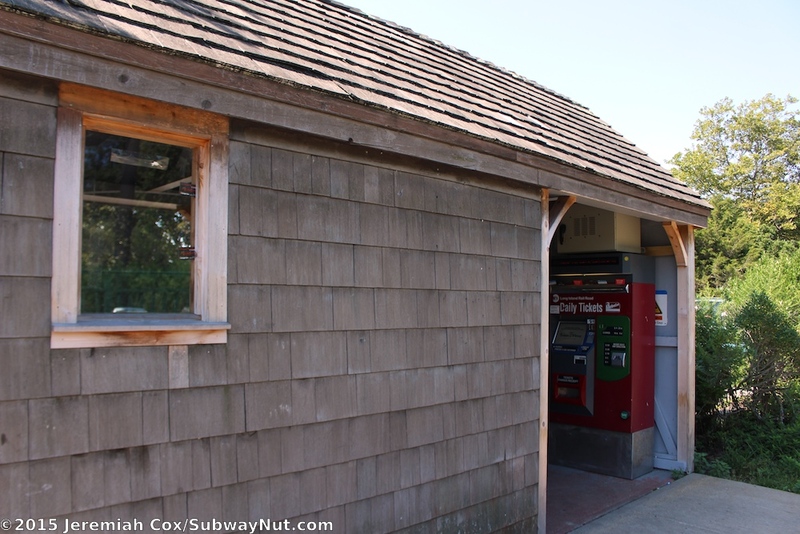 Inside this shelter is a single TVM installed in August 2013 and a tiny built-in wooden bench. 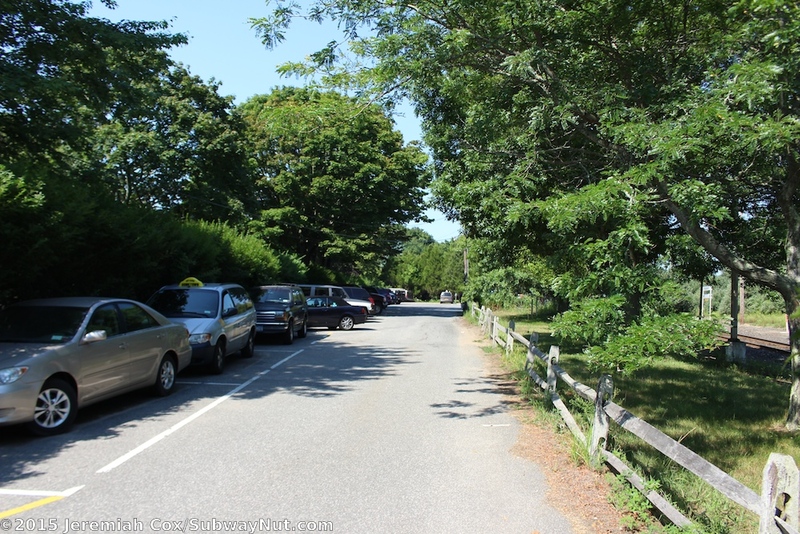 A unique American flag made out of what appears to be window blinds is on the parking lot side of the shelter.